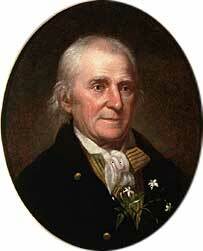 William Bartram (April 20, 1739 – July 22, 1823) was an American naturalist. The son of Ann (''née'' Mendenhall) and the naturalist John Bartram, William Bartram and his twin sister Elizabeth were born in Kingsessing, Philadelphia, Pennsylvania. As a boy, he accompanied his father on many of his travels to the Catskill Mountains, the New Jersey Pine Barrens, New England, and Florida. From his mid-teens, Bartram was noted for the quality of his botanic and ornithological drawings. He also had an increasing role in the maintenance of his father's botanic garden, and added many rare species to it.